Use the form below to contact tour Mokra gora and Sargan Eight train directly. 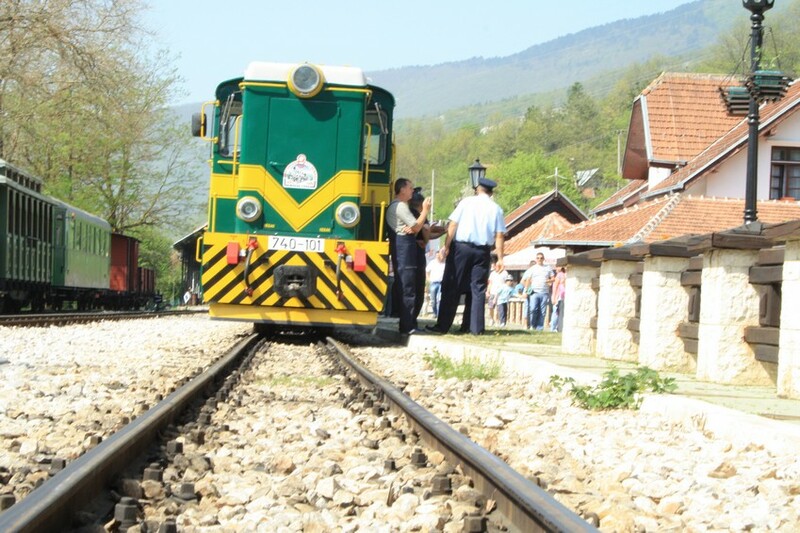 This dynamic full-day tour will take you to the unique narrow-gauge railway Sargan Eight. 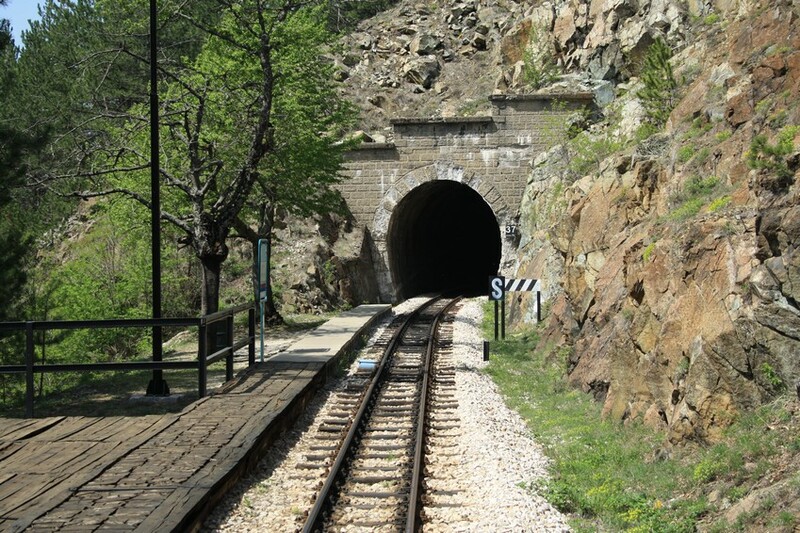 Nowadays the Mokra Gora train serves only for amusement of its passengers, but it used to be the part of Belgrade-Dubrovnik railroad from 1920s to 1974. Expect fulfilled day in every way. 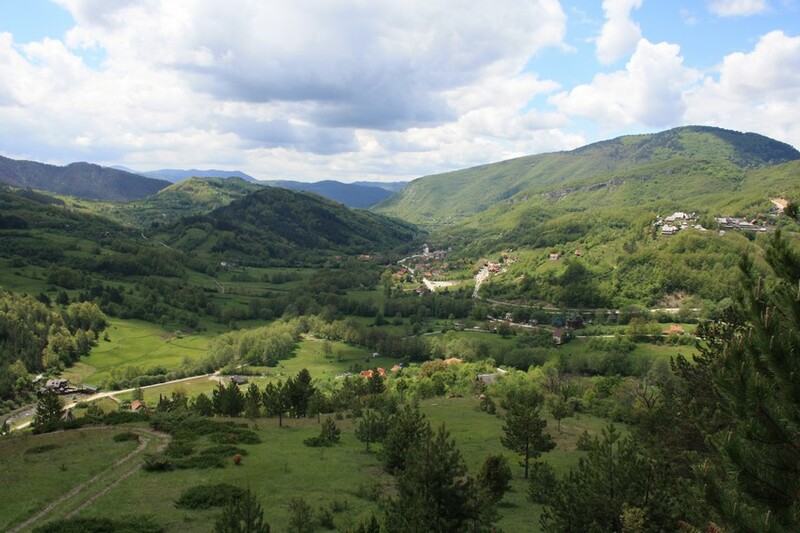 Admire beautiful landscapes of West Serbia with mountain views, meadows and rivers. Get on board of Mokra Gora train on unique Sargan Eight railway. 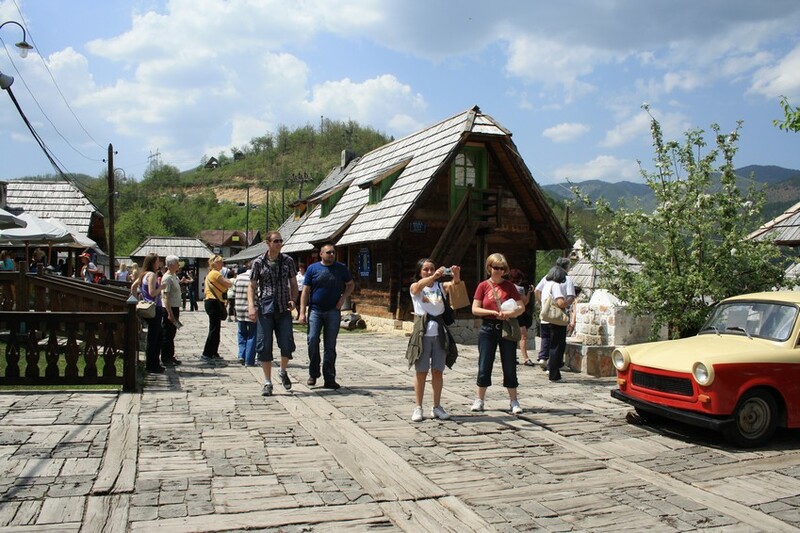 Visit unordinary wooden town Kustendorf, created by world famous movie director Emir Kusturica. 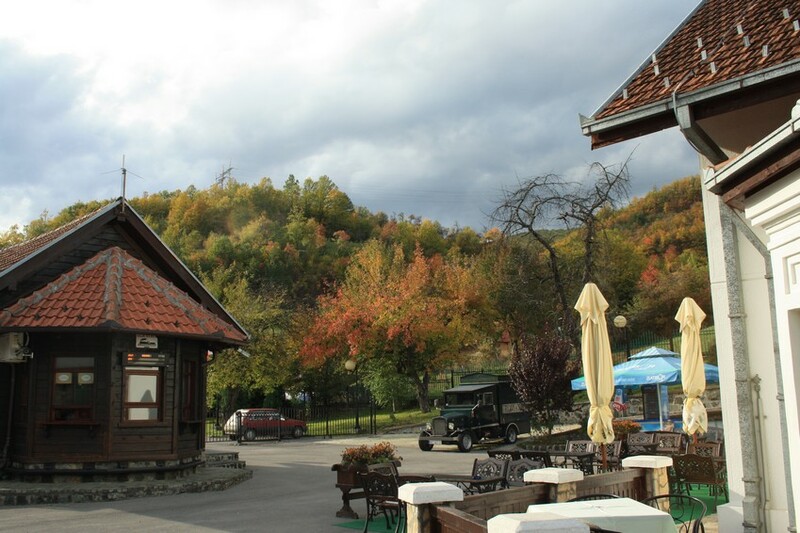 At the end of the day enjoy views over famous Drina river house. Learn local stories and legends. #YourSerbiaHost will pick you up at 8 am sharp from your Belgrade accommodation. Drive is long but you won’t feel it much, thanks to several breathtaking spots en route ideal for short breaks and taking photos. 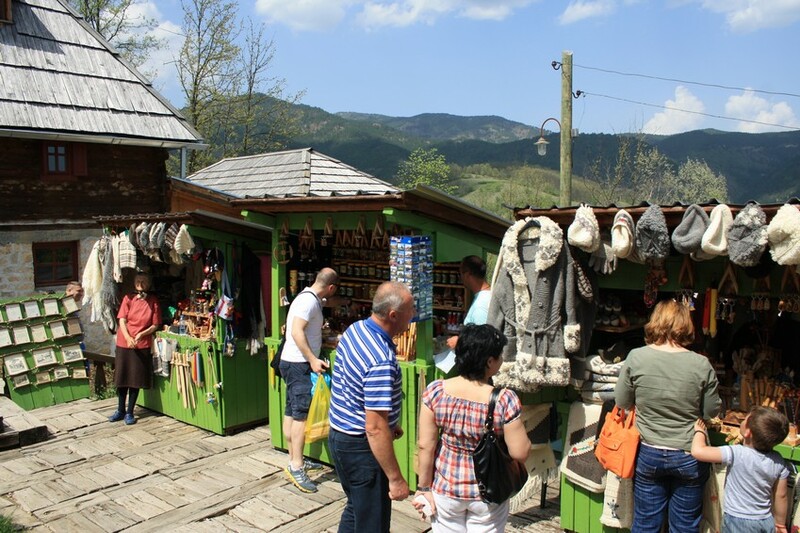 Before we reach Mokra gora town we will visit famous wooden town Kustendorf. 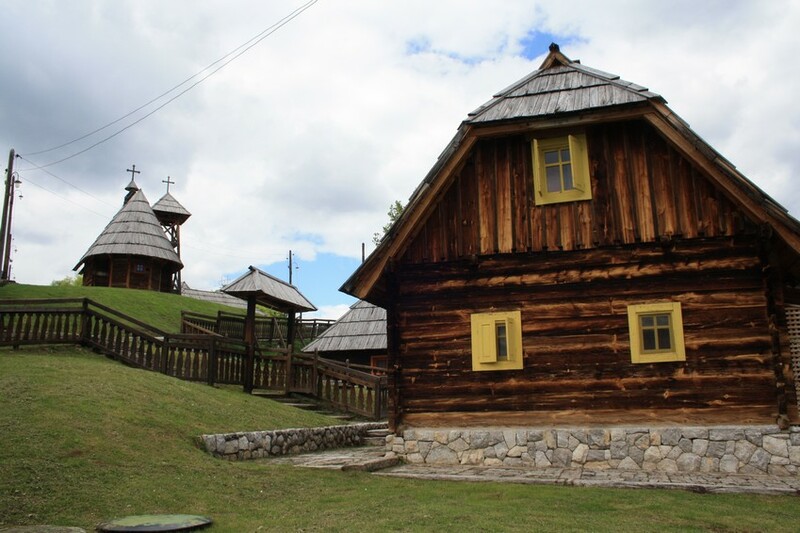 The town was a result of the vision of Emir Kusturica which he got during filming his movie „Life is a miracle“. In Kustendorf you can find, as in any regular town, museum, church, library, hotel, restaurant… You might be surprised with street names in this town because those are named after famous people Kusturica admires: Nikola Tesla, Bruce Lee, Ernesto Che Guevara, Diego Armando Maradona, Federico Fellini, Ingmar Bergman. After break in Kustendorf you’re getting on board of the train for 13:30 Sargan Eight tour departure. 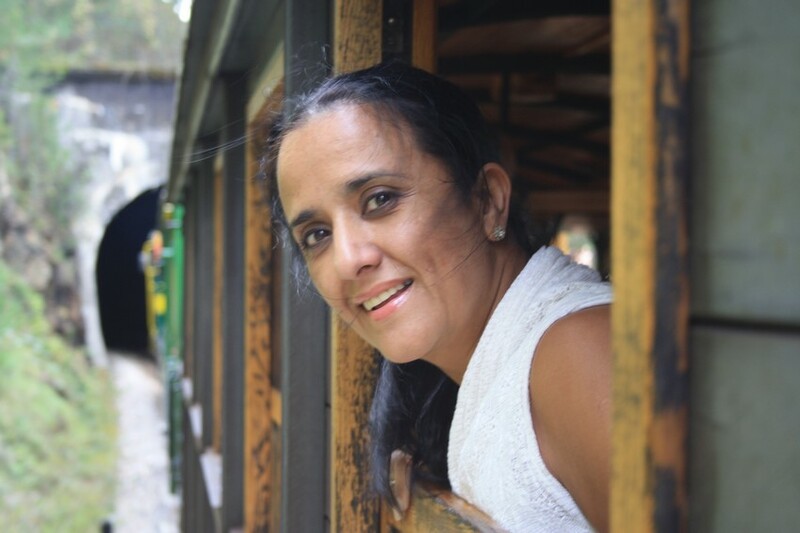 During the ride you will pass and stop at several stations and viewpoints. 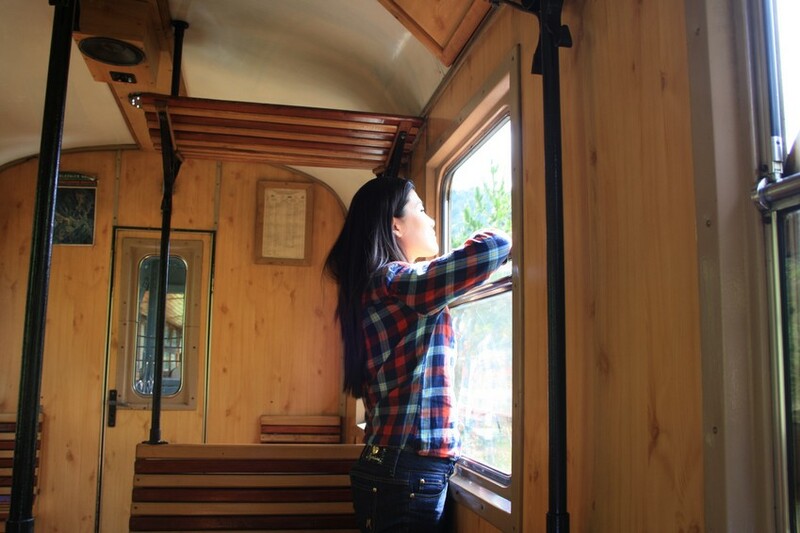 Authentic cars with wooden seats, wood burning stove and characteristic rattling sound will take you back to 1925, when this railway was opened and established connection beween Belgrade and Adriatic Sea. 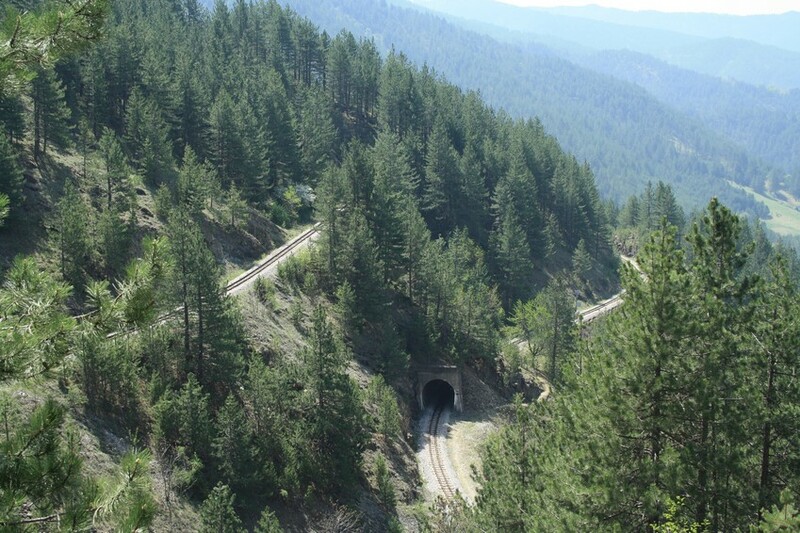 The track on this section is around 15km long and passes through 22 tunnels with overcoming an altitude difference of 300m. 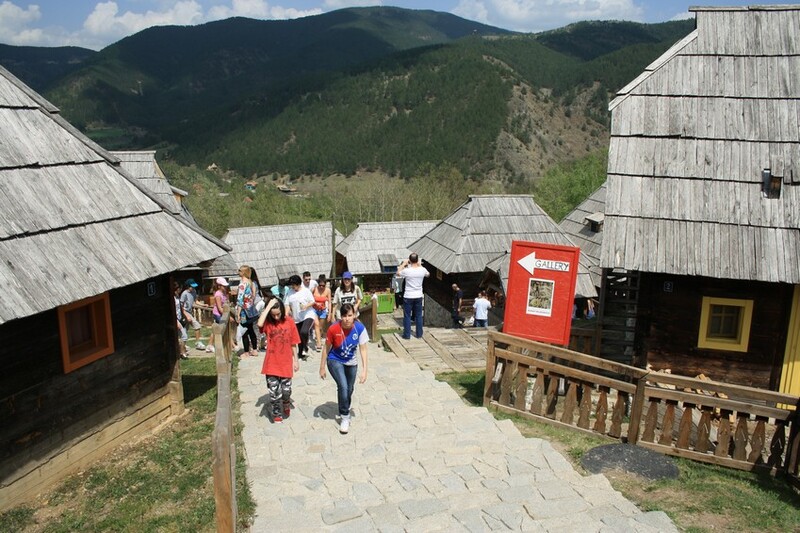 Last attraction for the day is famous Drina river house. 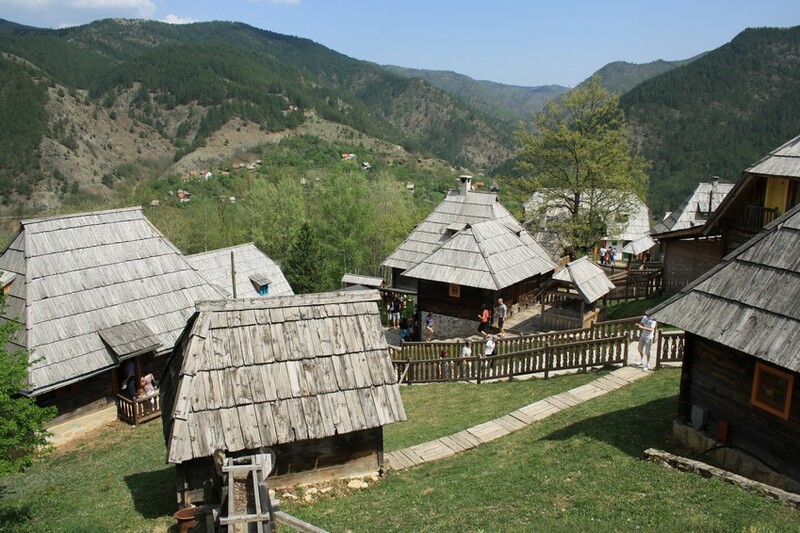 You will enjoy in this unusual sight on our way back to Belgrade, after a drive through Tara National park. Regarding lunch plans, there is plenty of choices and opportunities en route. We will give you several choices to pick from, depending where we are on the itinerary. After a full day of activities you are getting back to Belgrade in the evening. During high season periods, May-Jun and September-October, there is high possibility that tickets for all departures are sold out, this applies especially on short notice bookings. However, we have solution for that, but in that case you need to be aware of possibility that you’ll be standing during the train ride (for an hour approximately). Train ticket price remains unchanged. Tour plan given in this description is not fixed, it’s just result of our perception of most interesting points on this route and result of our own experience. If you want to have this tour customized, let us know. 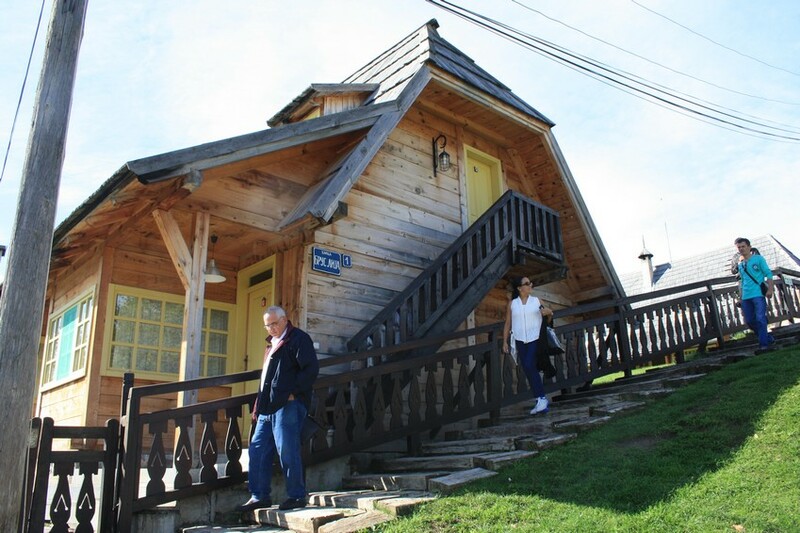 Default language of the tour is English, but if you require #YourSerbiaHost can also give you tour in Russian, German, French, Spanish and of course Serbian. 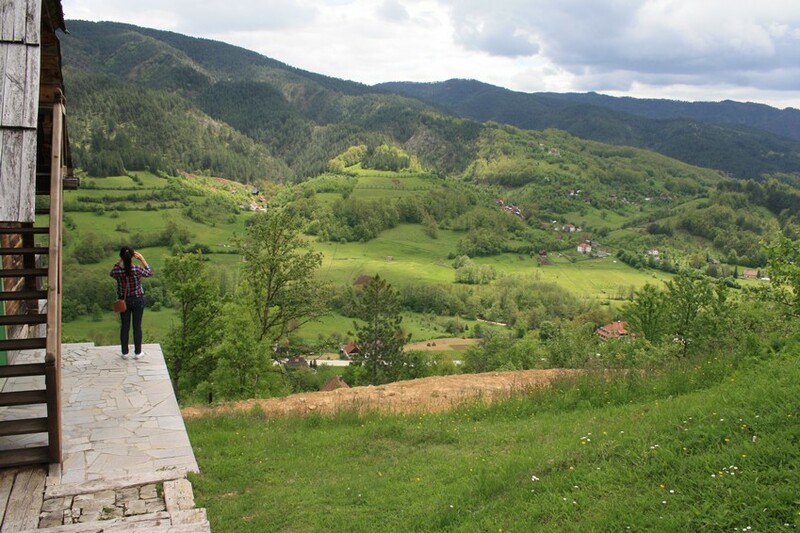 We have a very nice day，the Tourist guide wait for us on time and pick us to the Sargan Eight and Mokra gora. The comment is taken from TripAdvisor review page connected to our service, to see the source follow this link. Our guide, Miljan was efficient in responding to our initial enquiry and maintained good communication prior to the trip. On the day he was punctual and very attentive in providing informed responses to our queries. He is very personable and good company which ensured that we had a relaxing and interesting trip. 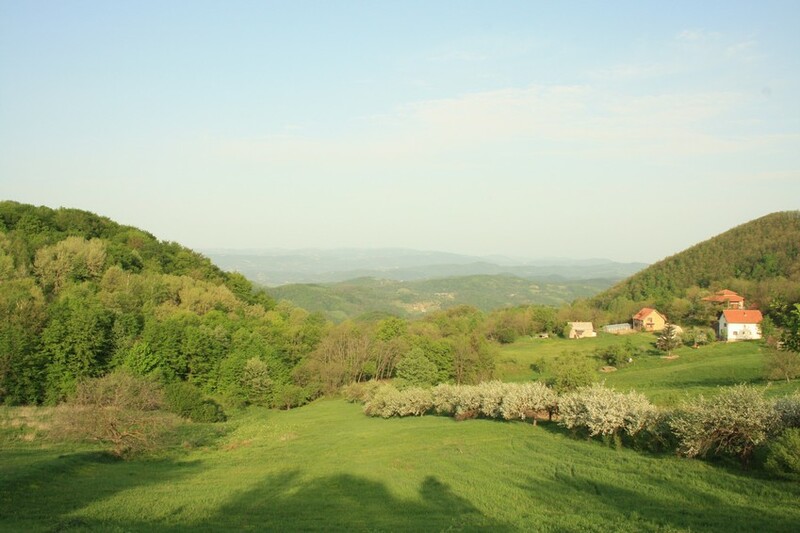 P & K J.
Miljan showed us the cultural aspect, natural beauties, and very good gastronomic experience in the country-side of Serbia! I will come back again! Private. Only you and members of your party. Driving between tour points, walking when on sites. Train ride for 2,5h. Seasonal, 15.4-31.10. every year. Starting time 8 am. Changes are possible only if there are changes in train ride schedule. Easy for most. Expect long drives at first and last leg of the trip. If you have issues with standing or getting on board the train, let us know.